In the world of gaming, we often settle for lower quality equipment when we are a little tight on funds. When in reality, we all could buy better products in terms of performance and durability even with a lower budget. Especially when it comes to gaming laptops, you just simply cannot afford to use anything less than ideal. You’ll find yourself struggling with your pc every second move with lag spikes and will probably end up with broken equipment from throwing it against the wall. However, if your budget is strictly around $500, I have found some of the best performing laptops after some thorough research and self-testing. The ultimate laptop I can recommend is the ASUS VivoBook F510UA. Because of its solid build and adaptive features, it could potentially compete with laptops over $1000. It gives a sky-rocket performance after an SSD is installed in it and has separate RAM for its graphics card, so gaming is sure to rock on it. The most beneficial feature is its long-lasting battery which gives a minimum of 6 hours power even with continuous usage. I had a few terrible experiences dealing with low-specification, rendering issues and more. But the question becomes, is it possible to buy a good gaming laptop below $500? Well yes it is, but it will have certain limitations since gaming nowadays is pretty intensive and heavy on the processor. There are a ton of tips and tricks when it comes to buying a gaming pc that I’ve answered as well. Now this is what I call an incredible machine! 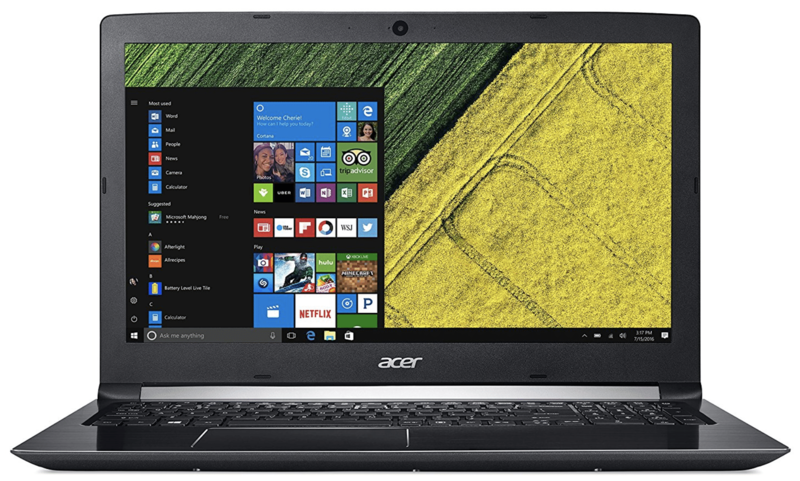 The Acer Aspire E15 is the all-in-one package consisting of a super-fast 8th generation Intel i5 processor, 8GB RAM, and a 1920X1080 screen resolution monitor. But you may say, aren’t these features already present in laptops of the same price range? Well, maybe but its distinct features are the NVIDIA GeForce MX150 GPU with a 2GB exclusive VRAM (Finally we got rid of integrated GPUs utilizing system RAM). This is incredible news for gamers! The other awesome specification is 256 GB SSD. Now, do not worry about slow hard disk drives because an SSD is already installed. The next mind blowing feature of this laptop is its battery which is claimed to last for upto 12 hours! I don’t say it looks awesome, rather I say it performs amazingly. This laptop runs exceptionally fast – firstly, due to its 8th generation processor; secondly, because of SSD; thirdly, because it has a dedicated VRAM. Another reason why I praised this device – not only it has a separate Nvidia Graphic Card but also a long-powerhouse kind battery (at least 6-8 hours), so you don’t have to worry about plugging the charger again and again. What a relief! Its GPU, which has a dedicated VRAM, is marvelous for gaming. SSD has only 256 GB but storage can be expanded by adding another SSD or HDD. Apart from that, it has a 15-inch matte screen with 1080p resolution. It’s the perfect laptop under $500 to gaming out on your equally nice gaming chair (click here for reviews). Tracking pad is not as good as it should be, but you can still use a mouse. Acer has done a small compromise in RAM- it has installed a DDR3 RAM and not DDR4, but this can be upgraded. The machine might get heated when used heavily. SSD storage is only 256 GB, so you might need to add an extra drive for expanding the memory. It doesn’t look stylish if looks matter to you. 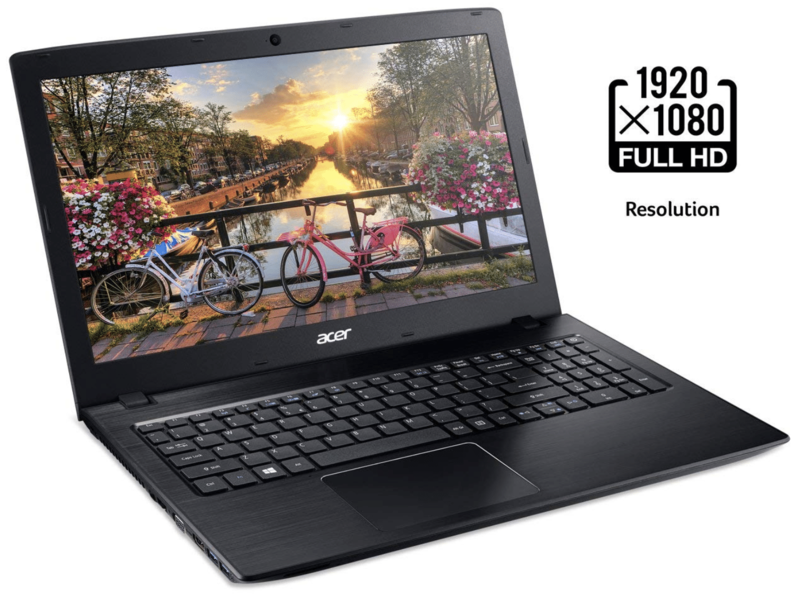 This is another classy laptop from Acer which outweighs other laptops in performance. This one is the second ideal low-budget gaming laptop I found, first one also being Acer E15. It’s always a profitable deal when you get NVIDIA Graphic cards and dedicated VRAMs in such a low budget. Though SSD is just 256GB, Acer offers an additional HDD kit too which can be purchased and installed separately. Plus, the battery life is good enough to keep the laptop awake for about 4 hours minimum and it charges fast too. Gamers! This laptop is going to play for you some of the awesome games as long as you take care of settings. Select medium settings and hopefully, you’ll not face any performance issues. The SDD has only 256 GB which some of you might not feel comfortable with, so you will have to install a separate HDD kit for the laptop. Its battery could run out earlier than specified, so you got to uninstall unnecessary apps and keep only the ones that you would actually use. It has no CD drive. It’s has an average screen and quite Loud fans. Its appearance and performance both are good enough to give an impression that it’s priced around $800. It doesn’t have a cheap built. It gives an ideal balance between built and performance. Its speakers are remarkable, and so is its backlit keyboard. It has light weight and its graphics are good for mid-range gaming. In Addition, its speed is awesome for general use. It is a 15 inch Lenovo laptop with an AMD quad-core 2.7-3.6GHz processor, 8 GB DDR3 RAM, and AMD Radeon R7 Integrated Graphics Card. It has a Hard disk drive of 1TB- Sufficient enough for big files and videos. Lenovo states that battery of this laptop can run up to 5 hours. So not only does it look like it can be handled at the office, but dust off the top and the specs underneath show you it’s a gaming pc. The first object that comes to my mind when I think of improvements is Battery. The Lenovo 320-15 has an easily exhaustible battery (lasts for around 2 to 3 hours only), and amusingly, the charger cord length is short. It comes with a mechanical HDD which produces sound and takes a bit longer time for booting. HDD can be replaced with SSD to overcome this issue. Besides this, the CPU heats up a bit when games like WoW are played. It is a slim, robust, and light-weighted device. It has incredible keypad and speakers. This machine has AMD Radeon Graphics card which offers much better gaming experience than those laptops with intel integrated Graphic Cards. This machine has a power to play medium level as well as high-level games smoothly with a couple of adjustments in settings. This is a great bargain for gamers in a market where a good gaming laptop costs at least $800. It can withstand and process tremendous tasks smoothly. This laptop is going to survive without a hitch for a pretty long time if you learn how to operate it. I was quite impressed after exploring about this product as I finally found a premium-specification laptop at such a low price. 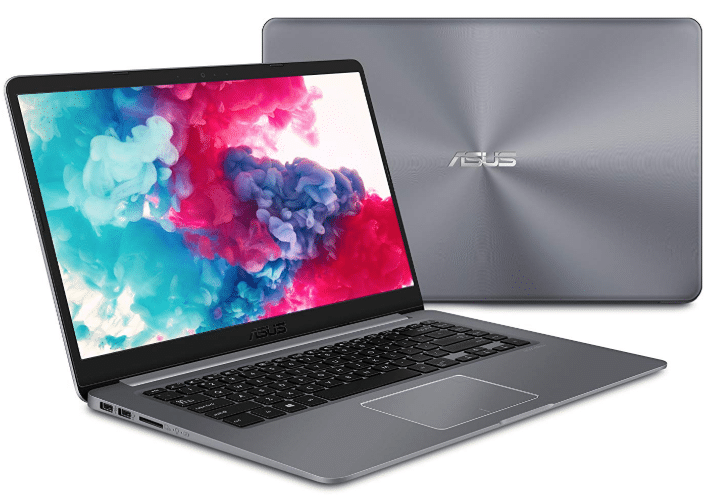 Asus VivoBook incorporates an 8th generation Intel processor, 8 GB expandable RAM, 1 TB Hard disk space with a decent Intel UHD Graphics 620 graphics card. It promises a battery life of 5-6 hours. The other laptops at the same price compromised a bit in specifications like RAM and processor. But Asus VivoBook F510UA has got all those specifications in a single package at an impressive price. If you want to feel the real power and speed of this laptop, you have to add an SSD to it. Expanding RAM to 16 GB is a plus. Further, I suggest to not use the laptop until it finishes all its updates, and then turn off the automatic updates. I did the same for my laptop and now it’s working/ booting faster than before. As for gaming, the laptop is apt for mid-range games and can run games that don’t grip the hardware without a hitch. And, you can try changing the settings to make gaming experience further smooth. The laptop built is average and it has a substandard web cam. The keyboard of this laptop has flex, no backlight, no CapsLock light. The SSD installation is tricky and should be done carefully. It has integrated GPU i.e no special VRAM, so it uses system RAM. If your game utilizes RAM higher than 1.7GB VRAM, it will cause a slow gaming. Also, it doesn’t have an ethernet port to connect the internet cable directly. This laptop renders high perfotmance at a low price. Its 8th generation CPU is powerful and processes multiple tasks and applications simultaneously. It has got a cool fingerprint reader for security and a wonderful display with anti-glare screen. It has got an expandable RAM – so you can upgrade it to 16GB and increase the speed of multi-tasking process. One thing I admire about HP laptops is their style and built. 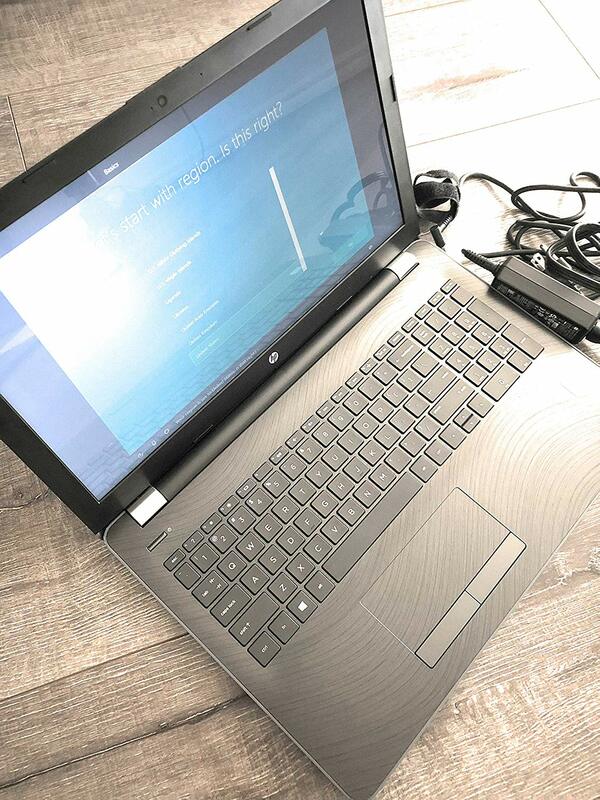 This HP laptop is sold in gray and black color exhibiting a sophisticated appearance. Its screen is dazzling 17.3 inches with 1600 x 900 resolution. Amazing, isn’t it? HP insists that the battery might stay alive for about 9 hours on average. With 7th Generation, Intel Core i3-7100U Processor,8 GB DDR4 RAM, 1 TB HDD storage, this device is worth the money you pay for it. Wondering about graphics? It has Intel HD Graphics 520 with integrated VRAM- acceptable for medium-end gaming. This is one of the standard laptops from HP. 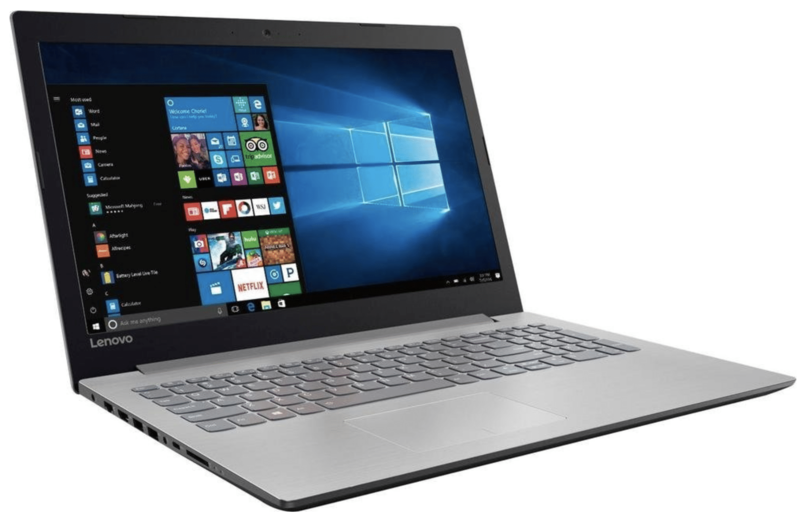 Other than appearance and style, the laptop also has competitive technical specifications. A vivid screen is of no use if the device is sluggish. Thankfully, once you handle the laptop well in the beginning stages, it would become easy to control it later. After you get rid of annoying windows updates, this device would run smoothly. If you add an SSD, its speed would further enhance and you will notice a tremendous difference. It offers a decent gaming experience and allows many high-level software to run successfully without hassle. Replace HDD with SSD – and you will operate a new screaming-fast device. But SSD installation process is arduous and needs to be done carefully; I recommend you taking support from HP customer service. Also, the laptop doesn’t stay juiced up as per our expectations. Well, I see this in almost every laptop, so only HP isn’t to be blamed. The 17-inch display is just wow- who doesn’t love playing games on a large screen? It works like a high-level laptop after SSD is installed. Its 8GB DDR4 RAM is what I love- as it is the best one available at this cost. 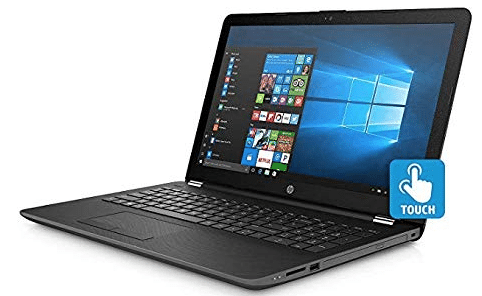 If you’re willing to be strictly below the budget even at the cost of performance, then this $497 laptop is worth considering. This HP Notebook runs windows 10 on a 15” screen. 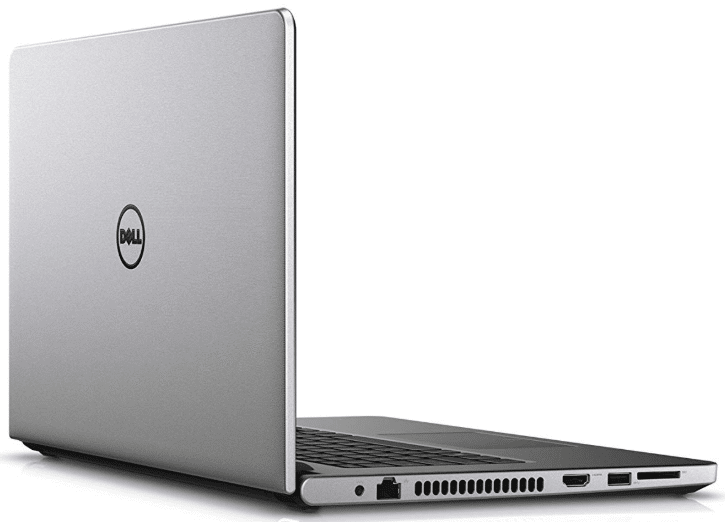 The laptop consists of 8th generation Intel i3 dual-core processor and 8GB RAM. The hard disk has got the ability to store up to 1TB of data. I was not expecting an Intel UHD Graphics 620 Card at this price, but kudos to HP for providing this. This laptop has got some powerful features as well as some flaws, and that is fine for the cost we pay. It would work calmly for reasonable tasks and games. Its hardware is limited and so is its battery. This laptop can be ideal for you if you’re going to use it for regular tasks and moderate to low-end games. Keyboard up-down keys are quite smaller than others, and we know how important arrow keys are for gamers. The Laptop sometimes allows you to hear its processor sound, but it is a feeble sound and can be ignored. It has an average processor and is better for medium to low-end games. 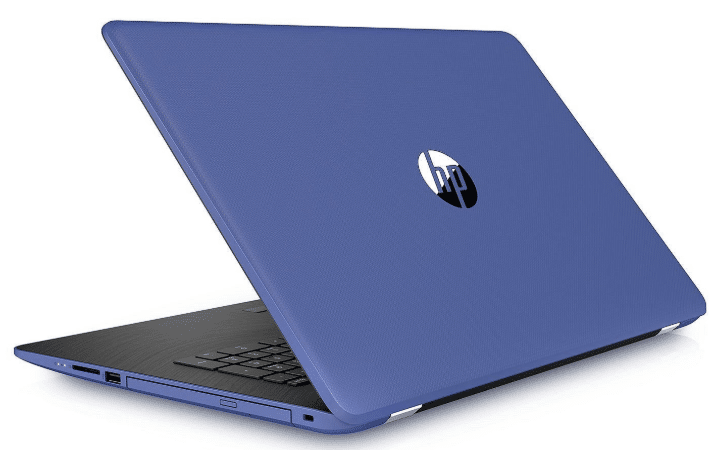 Even though HP has modeled this laptop elegantly, the material quality isn’t robust enough. It has an average Battery life, and also its keyboard has no backlights with a little bit of rigidity on keys. This laptop works smoothly for general tasks and average games. The graceful design, high-quality display, and touch-screen at this affordable price can push anyone into buying it. It has well-allocated fans which prevent the laptop from heating. It’s got moderate Multi-tasking ability which can be improved with upgrade of RAM. It sometimes allows you to play heavy games at low settings comfortably, but might need better CPU and GPU to play visually mind-blowing games. Its other plus points are upgradability of RAM and a large amount of storage. 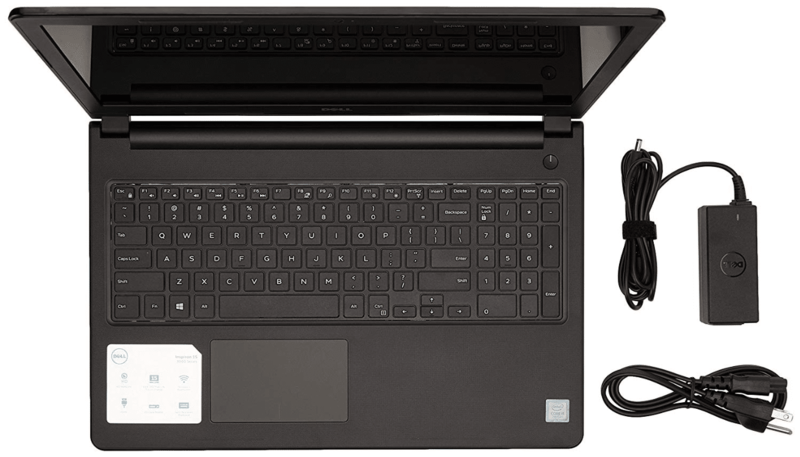 This laptop is smaller in size than others, just 14 inches, but still has dynamic features. With its intel core i7 processor, 8GB DDR3L RAM, 1TB HDD, and Intel HD Graphics Card, it’s a tough hitter. Again, the optimal features in a small package. It runs windows 10 64-bit operating system. This device is for average users. Its screen size, low weight and portability balances its limited performance. It can run smoothly on regular usage and mild gaming. I would buy it if I were a college student who needs to carry a laptop frequently to the college. As for the performance, then it is decent but not exceptional. It has a thin, small size TouchScreen laptop with remarkable specs -neither heavy nor it occupies more space. It has a decent backlit keyboard with adequate key spacing. Its battery can run for about 3-5 hours when used persistently. It runs fine with low and mid-edge games, but unsuitable for playing heavy games. It has CD player. Small size and CD player? Yes! I am not kidding! I was stunned to see the 2TB storage in a laptop of this price. That’s really a vast memory and one of the strongest points of this device. The 8th generation quad-core processor is the next fascination. It’s light in weight and has 8 GB RAM, so it’s all win-win situation when we glance at the specifications. When it comes to gaming, I don’t say that this device offers lightning speed especially without an SSD. It’s just a moderate gaming machine. Battery life is below-average for this level of performance. Its speaker’s don’t blast out at full volume if you’re expecting loud sound from it. This isn’t important for people like me as we prefer headphones over speakers. Screen resolution is fine but not excellent. The major issue with this laptop is just battery. Also, If you are an intense user, I strongly recommend installation of SSD and expanding of RAM. It has 8th generation i5 quad-core processor for a superfast user experience. Add an SSD to it and it is a high-performance machine. The massive storage can store a tremendous amount of files. Its design is admirable and the backlit keyboard is cherry on top. Touchscreen and CD burner are other awesome elements of this laptop. Like its competitors, it’s got standard specifications too. It has 7th Generation Intel Dual Core mobile processor, 8 GB RAM, Intel HD 620 Graphics card, and 2 TB hard disk storage. As for looks, it has a medium screen of 15 inches with Touch Screen. Claims to offer 5-hour battery life. So what’s different in this device? Let me tell you. This device is slow at beginning, but after installation of updates it speeds up and works awesome. If you’re going to buy this one, make sure to uninstall all the bloatware once you are done with basic installation. Now, the device would run smoothly without any hassle. This laptop has also got a 2 TB battery which would store huge files. The device is apt for mid-end gaming and regular usage. It is moderate laptop with great storage. It runs mid-range games finely and isn’t made for intense gaming. One of its notable setback is its fragile, low-quality. Its battery lasts for about 3 hours. It can fill about 2TB of data in it. That’s huge! It’s got a great touchscreen and a big keyboard. The HP Notebook is embedded with 7th generation intel dual core processor with 8GB RAM and integrated intel HD 620 graphics card. It has a full-size island keyboard with backlight facility. It’s being sold in a grayish- blue color and exhibits an elegant appearance. Its battery normally lasts for 6 hours as claimed by HP. 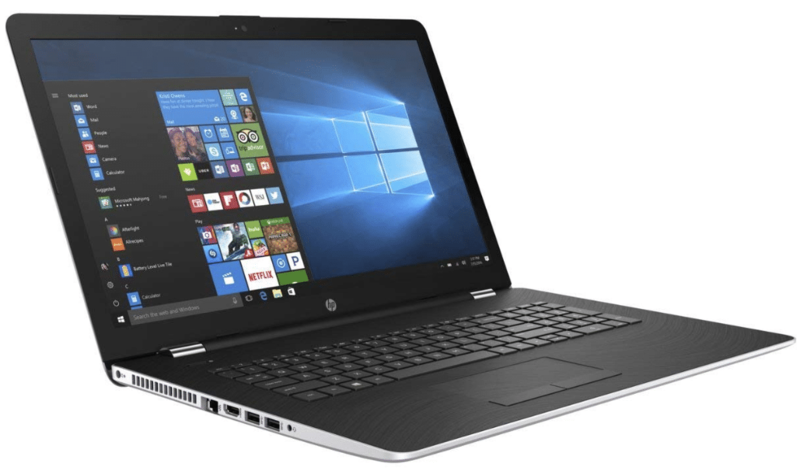 This HP laptop is a low budget laptop offering low-medium functionality. It is not as fast as its competitors which offer better performance in the same price range. However, it has a large 17” screen and a stylish color and design. This laptop is good for entry-level gaming and is for you if you prefer appearance over performance. This laptop isn’t that fast due to 7th generation i3 intel processor. It’s is just a modest laptop and wouldn’t meet the needs of demanding users. It doesn’t offer a superior performance or battery life. Nevertheless, it ’s good for people who play light games and are moderate users. It runs fast when operated meticulously. Looks magnificent- has got a Stylish design in an attractive color. Its big screen is impressive. It has 2TB of ample storage- that’s a lot! These were the best laptops under $500 for gaming. To choose an ideal gaming laptop, you should prioritize performance. Your gaming laptop should have high speed, adequate battery life, better if it has SSD, and the shouldn’t be heating. It’s quite common for a standard laptop to freeze and slow down, but an ideal gaming laptop needs to have top-notch performance even in a low budget. So, you should not go for a laptop having less than 8GB RAM, 7th generation processor, whereas a dedicated VRAM and graphics card is a bonus. I have done a rigorous research and penned down honest reviews to make your purchase worthy. There are a number of options and you must be clear by now and which should be laptop of your choice. The greatest advice I could give you is learn technology and your device will live longer. Feel free to share your views and questions. Happy shopping!